When you read this you probably have your smart phone in your hand scrolling through Instagram, Facebook, Pinterest, reading the news, Instagram again – the list goes on and on. 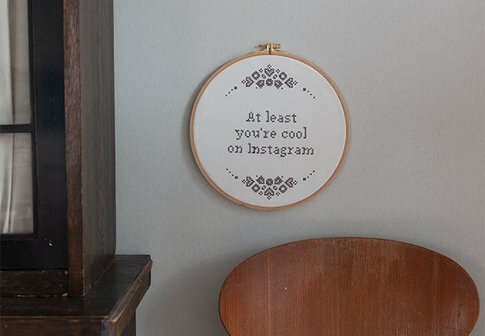 This embroidery kit is a reminder of what's really cool. Take a break from your phone and do something else. 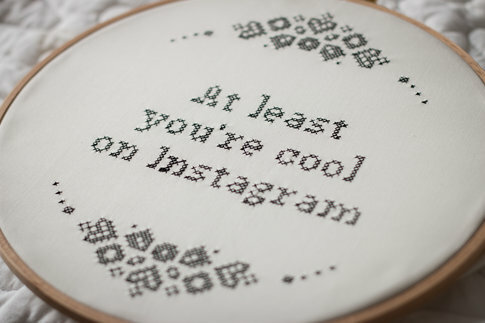 Cross stitching is a perfect thing to do in the evenings, on your way to work or while you are on vacation to get that well needed break from everyday life. We recommend (at least) size 19 cm.